The 2019 edition of Treefort Music Fest happens March 20-24 in Boise, Idaho with over 400 acts –as well film, art, comedy, yoga, and more — at multiple venues in the city’s downtown area. 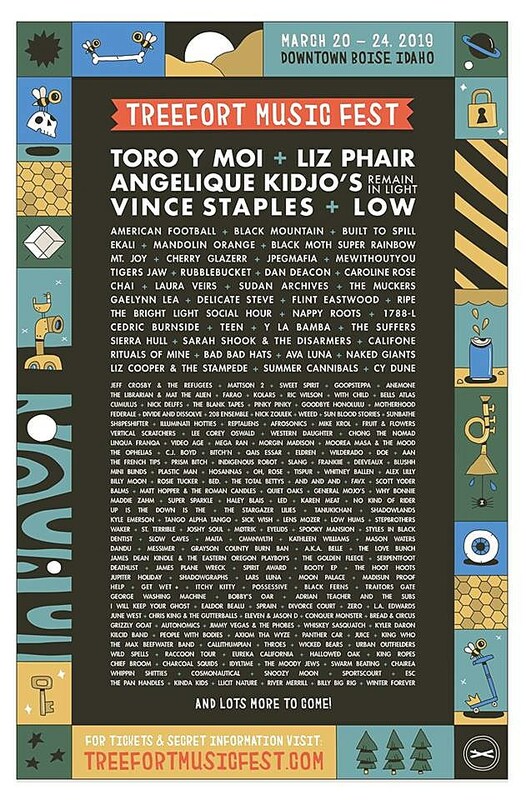 The 2019 lineup includes Vince Staples, LIz Phair, Low, American Football, Toro Y Moi, mewithoutYou, JPEGMAFIA, Built to Spill, Black Mountain, Cherry Glazerr, Dan Deacon, CHAI, Black Moth Super Rainbow, Laura Veirs, Tigers Jaw. Sudan Archives, and more. There are still lots more artists to be announced. Passes to Treefort 2019 are on sale now and you can check out the lineup as it stands, below.